I found Blue Oak Brewing more or less by happenstance. Liz and I were at the south end of the SF Peninsula, and having finished an errand, we decided to treat me to a beer before making the long trip back home. We turned to the AHA‘s Brew Guru app and it led us to Blue Oak. 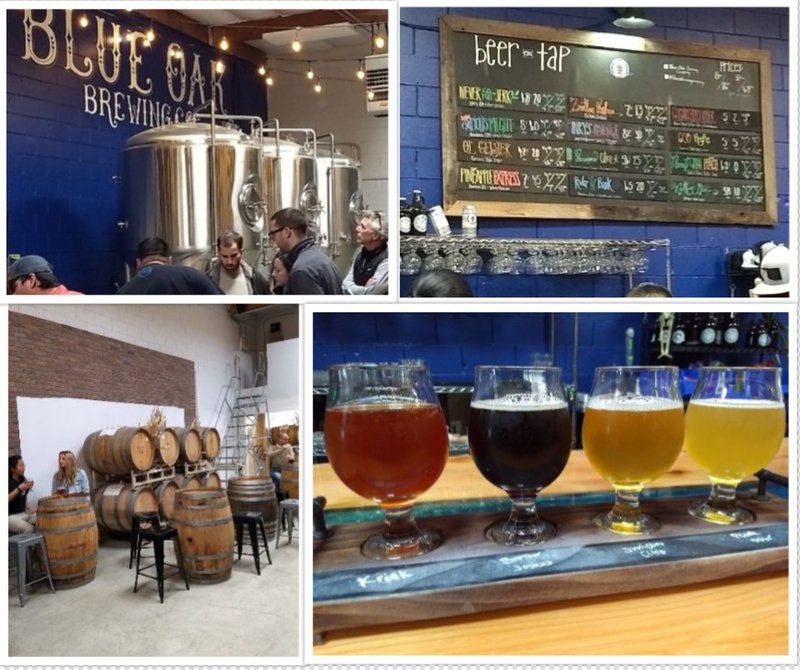 Blue Oak Brewing is the brainchild of Alex Porter, who is the owner, brewer, and (when we were there) bartender. He opened the brewery almost two years ago. Most of that time, I surmise, it was sharing space with the cidery nextdoor, but in September, Porter expanded into a larger adjacent space and made it into the current taproom. The space is set up on an open floor plan, appointed with tables and barrels to sit at, in addition to the bar, with a trio of fermenters tucked into one corner. As for the beers, Porter’s got a good mix of IPAs, Belgians, kettle sours, and fruited beers on tap. When I was there this weekend there were twelve beers on tap. Not bad for what seems to be essentially a one-man operation on a 7-bbl brewhouse. I opted for a flight of Cordilleras Kriek, Brother Joshua, Junipero Citra, and Ginny and the Giant Peach. The Cordilleras Kriek (5% abv, 2 IBU) had a nice sourness with plenty of cherry flavor. It was little sweet in the mouth, but finished surprisingly dry at the back end. It was my favorite by far. I would’ve taken home a crowler of it, but it’s only served by the glass. Junipero Citra (5.6%, 25 IBU) is a saison brewed with juniper berries and coriander, and dry-hopped with Citra hops. It tasted piney and citrusy, and was quite effervescent. I did take home a crowler of this one! Brother Joshua (7%, 18 IBU) is a nice, dry, Belgian dubbel. Quite enjoyable. The only one of the set, that was a bit of a disappointment was Ginny and the Giant Peach. It is 6% abv kettle sour fermented with white peaches. It was nicely sour, but the peach flavor was not very strong and it was also somehow hollow, like it dried out too much. There was a nice funkiness to it, though. 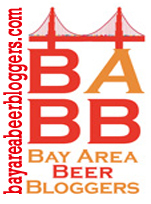 It just goes to show that, although San Francisco and the East Bay tend to get a lot of the buzz, there are other corners of the Bay Area brewing scene that are well worth exploring .